Amritsar April 2 (IANS) Teary-eyed relatives and friends waited for hours in the heat outside the airport here on Monday as the mortal remains of 38 Indians killed by the Islamic State terror group in Iraq s Mosul in 2014 arrived here on a special IAF aircraft. Families and fellow villagers had been camping outside the airport complex since early morning waiting for the mortal remains to arrive. "It is a very sad moment for all of us. Most of the victims were young men who had gone to Iraq to earn money. Their families are devastated " said Surjit Singh relative of one of the victims. The coffins of seven other victims hailing from Bihar and West Bengal were taken in another IAF aircraft to Patna and Kolkata. Minister of State for External Affairs V.K. 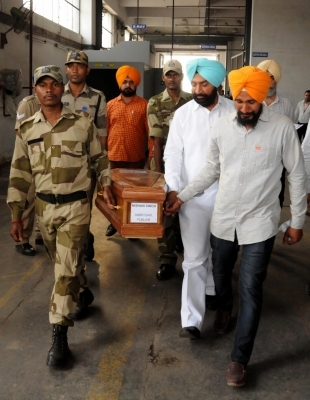 Singh accompanied the mortal remains to Amritsar from Mosul. "We are thankful to the authorities in Iraq for the help (they rendered) to locate the victims and exhume the mortal remains. The government of India did its best to locate these people. It is unfortunate that we had to get them back in coffins " he told the media. Although 39 Indians were killed as the Islamic State took over Mosul in June 2014 the mortal remains of 38 were brought back as the identification of one body is still pending. While the coffins of 31 victims -- 27 from Punjab and four from Himachal Pradesh -- were handed over to the respective authorities at the Amritsar airport here seven coffins were shifted to another aircraft to be flown to West Bengal (3) and Bihar (4). Punjab s Cultural Affairs Minister Navjot Singh Sidhu was present at the airport to receive the coffins along with officials of the other states to which the victims belonged. 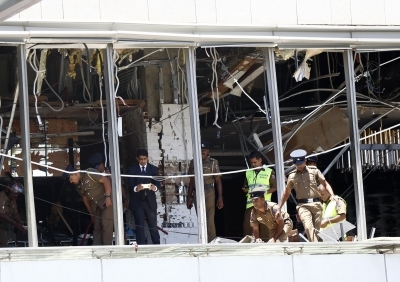 The victims families were told by officials not to open the coffins since the mortal remains had been exhumed from graves and could emit toxic gases. However most have refused the direction and said that they would opt for a traditional cremation. In the wake of the nationwide protests against the dilution of the SC and ST Prevention of Atrocities Act on Monday the Punjab government had appealed to the demonstrators to allow the mortal remains to pass without hindrance. Singh who visited Iraq four times in the past few months to know about the missing Indians and to finally get back their mortal remains now said that the Central government did its best in the matter. 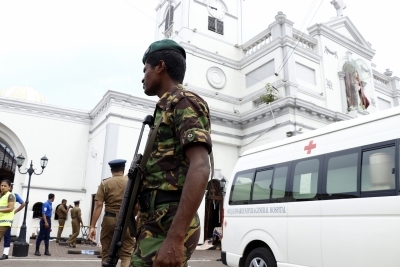 The families of the victims are being given a monthly pension of Rs 20 000 by the government. External Affairs Minister Sushma Swaraj had informed Parliament on March 20 that all 39 Indian construction workers kidnapped in 2014 from Mosul have been killed. She had earlier said that she will not consider them dead unless there was proof in this regard rejecting the claim of lone survivor Harjit Masih who had escaped the IS in June 2014 that the captives had been shot dead. After Mosul was freed from the clutches of the Islamic State in July 2017 there was hope that the missing Indians would be found. However Iraqi Foreign Minister Ibrahim al-Jaafari during his India visit in July said he was not sure if the men were alive or not.